With its 3342m, Marmolada is the highest peak in the Dolomites, with a wonderful silver rock wall on the southern side, almost 1000m tall and the with the biggest glacier in the area situated on the North Face. The normal route is through the glacier, an emotional journey filled with twists and turns, leading you straight into the heart of the mountain. In the recent years, glacier gently started to echo the global warming, but remaining very much harsh environment, with outstanding natural beauty. Breathtaking view from the lift taking you up from Passo Fedaia, will lead up 2626m to Pian dei Fiacconi. A cup of coffee and chat with Guido are always a must! As soon we’ve left the refuge, the climbed over rôche moutonnée, the glacier will start to appear. 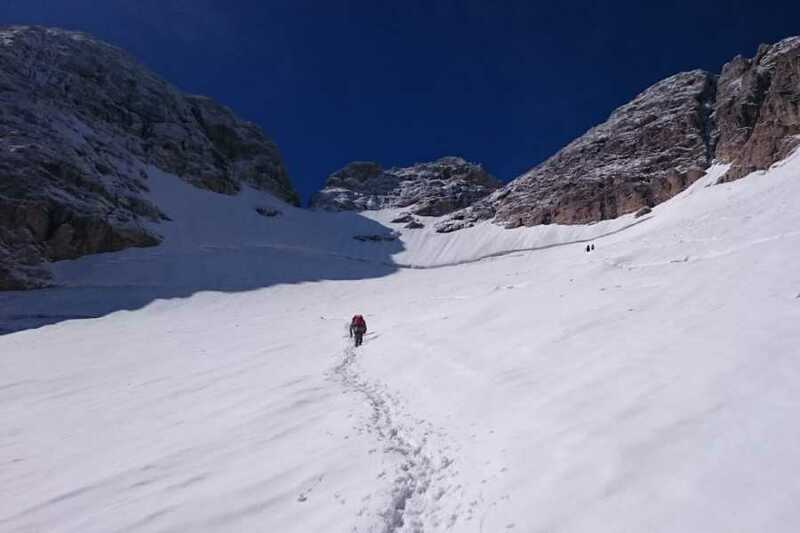 Equipped with ice ax and crampons , we’ll start climbing, until reaching the first slope. A seemingly flat plain and a slight slope will lead us to the rock wall leading up to the first peak. A short via ferrata helps us up to the first panoramic views of the colossal Dolomites. The last bit follows a ridge all the way up. The way back is through a normal route, via glacier. 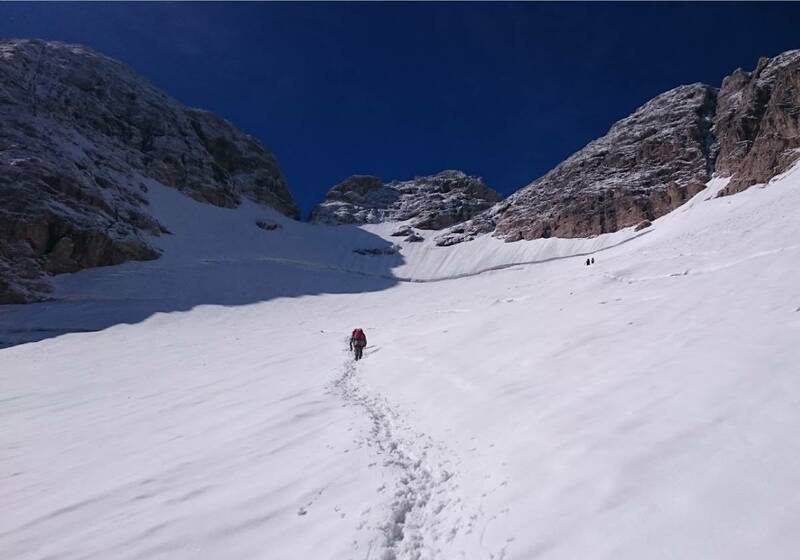 Clothing and equipment: Technical alpine clothing, harness, ferrata kit, climbing helmet and mountain boots, (no approach shoes), ice ax and crampons, 20l backpack, energy snacks, sleeping bag. Number of participants: Min 2 people. If less, you will charged the min cost of €300.